Pro Landscaping is pleased to offer a wide range of professional landscaping services in Orangeville, Ontario. Whether you’re looking for a simple garden design, or an intricate stone pathway - we can help! We take pride in providing our clients with excellent customer service, beautiful custom landscapes, and superior craftsmanship. When it comes to landscaping, Orangeville residents know that their homes require special care for seasonal conditions. Pro Landscaping’s project consultants have the necessary experience to make sure that your home looks great year-round. Our project consultants are happy to work with you for any garden, hardscaping, sod, or tree needs. We’ve helped countless homeowners create their ideal outdoor spaces, and we proudly consider ourselves the premier destination for Orangeville landscaping services. Our team of highly skilled landscaping professionals are dedicated to making your vision come to life, because we know that the exterior of your home is just as important as the interior. Crafting custom outdoor retreats is what we do best! Our project consultants are happy to work with you for any garden, hardscaping, sod, or tree needs. 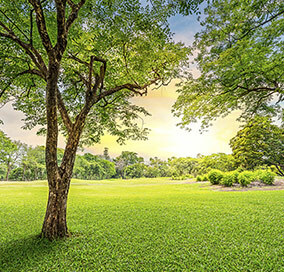 We’ve helped countless homeowners create their ideal outdoor spaces, and we proudly consider ourselves the premier destination for Orangeville landscaping services. Our team of highly skilled landscaping professionals are dedicated to making your vision come to life, because we know that the exterior of your home is just as important as the interior. Crafting custom outdoor retreats is what we do best!